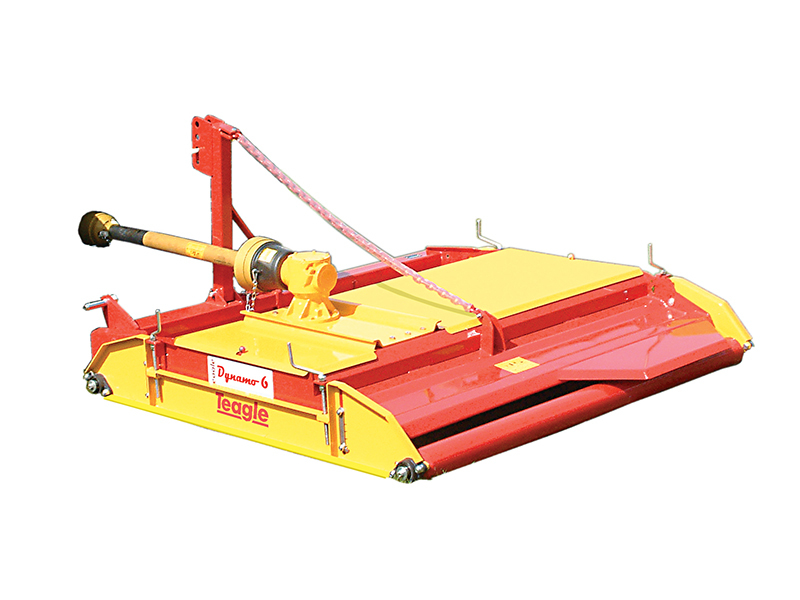 A smooth underside assists the flow of cut material through the machine, whilst a rotor divider and deflector assist an even spread of cut material across the width of the mower. Click here for more information. Fit the optional mulching kit and front roller for a finer finish. Click here for more information. Our Roller Mowers incorporate high strength pressings and an impressive driveline and blade system resulting in a very robust machine. All machines built at our factory in Cornwall are now Shot Blasted and finished with Powder Coat paint for outstanding durability. Available in two cut widths: Dynamo 6: 1.83m, Dynamo 8: 2.45m. Dynamo 6 fits Cat 1 and 2 linkage, Dynamo 8 fits Cat. 2 linkage. A front roller helps prevent scalping at very low cut heights. Not recommended when cutting long grass. A hydraulic ram is available as an option for easier offsetting in the field. Both the Dynamo 6 and Dynamo 8 models are available with an optional mulching kit to produce extra chopping and even spreading. The kit comprises additional special mulching blades mounted on hardened bushes. Flexibility to mount in front or behind the tractor.